Discussion in 'Mega, Mini, Spiral & Pixel Trees' started by JPB, Jul 19, 2014. Way too big for my place. I thought there was no such thing as too big! Looking at the spring holes it looks like your kids gave it a good work out in the time you've had it. On another note, I must not have the clap as when I first look at that my first instinct is not mega tree. But I like the way you think. 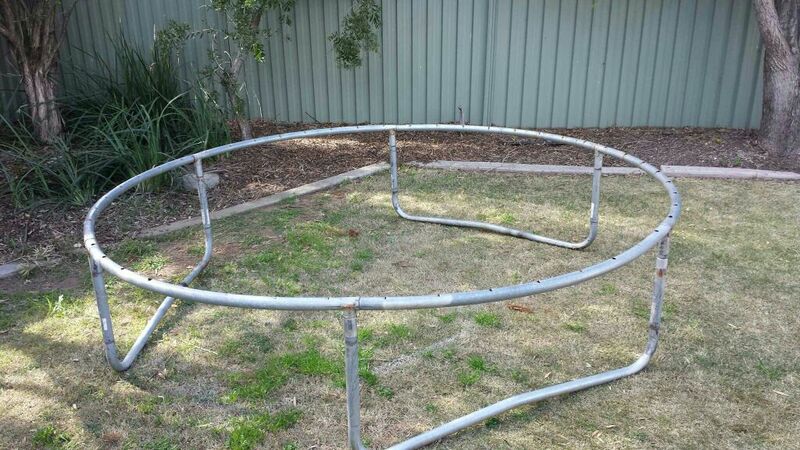 If anyone in Western Sydney wants it they can have it. Pulls apart for easy storage. would you mind chucking a tape across it for me. i may take it off your hands? It is about 2.2 metres diameter. It is at Glenwood, near Blacktown. really wow it looks bigger then that. Let me measure out the yard tonight and i will let you know. it sounds like just the right size. Just checked. it will be perfect. If its still on offer I can come pick it up next weekend.